We would like to invite you to try our new search navigation. 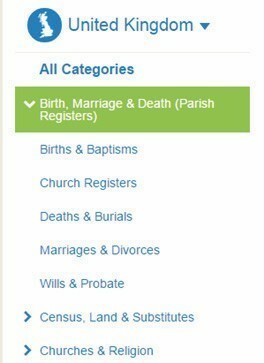 Following customer feedback, we have made Findmypast quicker and easier to use by providing a list of record categories on the left-hand side of our search pages. We’ve written this brief guide to explain why we’ve made these exciting changes, and to help you get started with the new search pages. 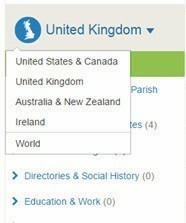 Why has Findmypast changed the search navigation? We want to make it easier for you to ﬁnd your family. Following feedback from our users and in line with our development plans, we’ve redesigned the search pages to make them even easier to navigate. Don’t worry, we haven’t changed any of the pages, just improved the existing search forms and results pages. Click on this link to take you to our new test search pages. These pages work with the live site, so you can search Findmypast just as you would normally do. The only difference is that when you search our records you will be in the new version and records you attach to your tree from that version will be added to your live tree. Please note: As you continue to use these new pages over the coming weeks you may well see a few more changes as we integrate your feedback and continue to improve the search experience. 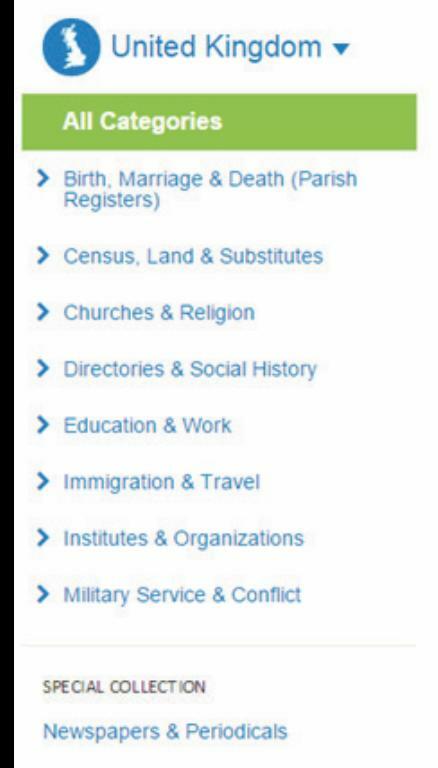 Rather than see a plain search form or results page, we’ve listed our categories and sub-categories in a column on the left hand side of the page so that you see all our records at a glance. NEW: You can now open up the category, and see the number of matches in each sub-category. You’ll always see your search criteria in the top left-hand corner of the page along with the option to edit your search. Want to search a different region? 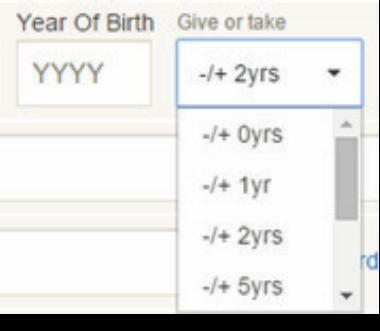 Just choose a different region from the dropdown box. Want to start all over again? Just use the ‘clear search’ button at the bottom of each search form. We will clear everything you have ﬁlled in and you can begin again. Want to go back to the original way of searching? You’ll see an ‘opt out’ button on every page. Just click on that, you’ll leave the beta version and go back to the current version of our search pages. Help us improve Findmypast even more! We would really appreciate it if, having tried out the new search navigation, you could spend a few minutes completing our short survey. 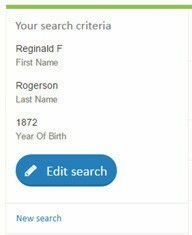 We are very excited about Findmypast’s new search pages, and your feedback will help us reﬁne our search experience for everyone. We hope you enjoy previewing our new pages, and we look forward to hearing your thoughts! 1. 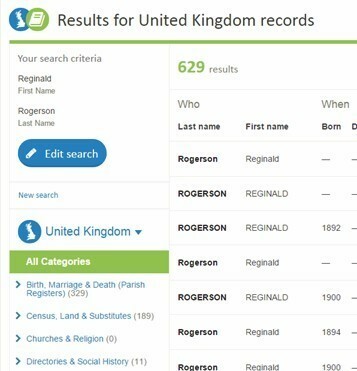 Try searching for just a ﬁrst and last name to get started, or even just the surname. All search ﬁelds are optional.Keep your search broad to begin with – less is more. 2. Tick the variants box. Sometimes names changed spelling over the years. 3. Try searching a few years either side of the year of birth or event year. Sometimes ages were rounded up or down in the census, or simply not known. 4. Try using a wildcard search. Use an asterisk where you think several letters are missing. For example, searching for Shore* would give results including Shoreditch and Shoreham. 5. Take a look at the tree for hints. We’ve done the hard work for you and using some very clever logic, we are now suggesting record matches where we can ﬁnd them for names in your tree.